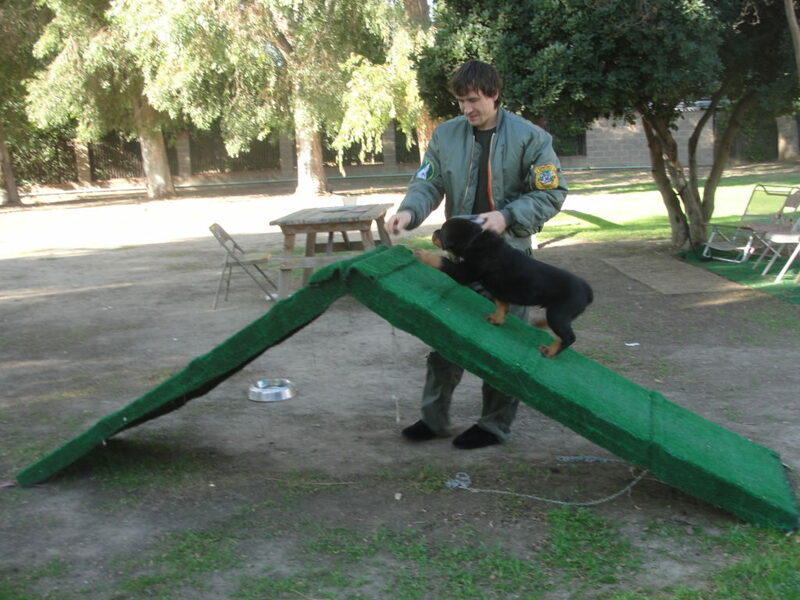 Master Dog Training offers agility dog training classes custom tailored to fit you and your dog’s needs. The agility dog training classes promotes bone health, muscle development, and is perfect for dogs who display fear towards other dogs or people. 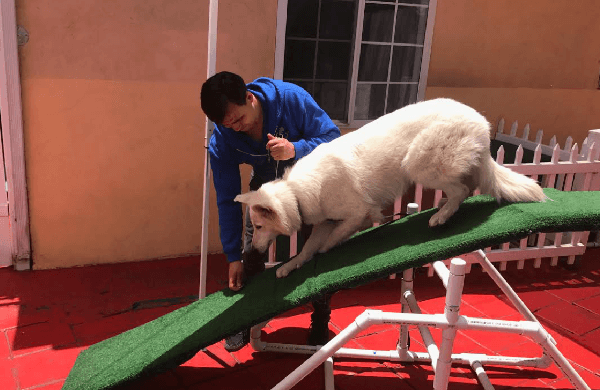 Whether your dog is overweight, has excessive energy, or has high stress levels that lead to aggression, an agility training course is the perfect solution. Have fun while learning how to properly work with your dog! 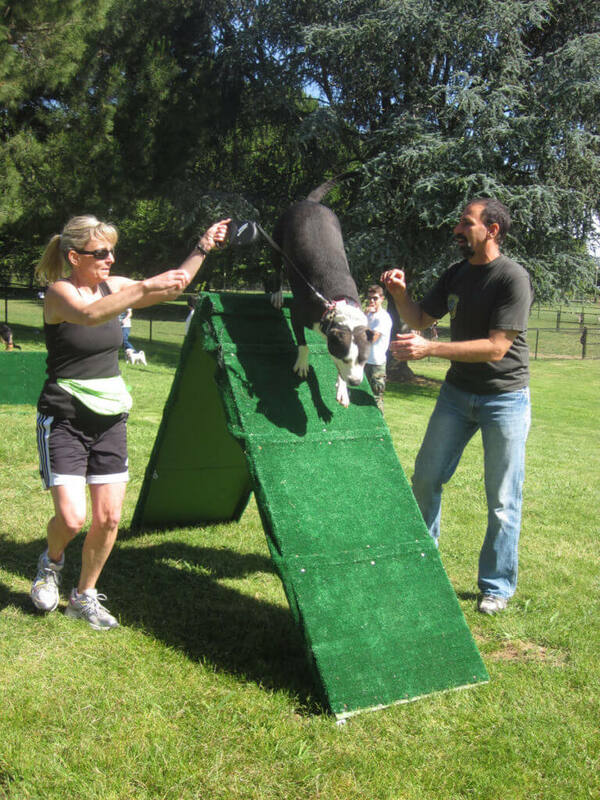 Join us for Agility Dog Training Classes! Train with your dog on our 1-acre property, where we have both an outdoor and indoor agility course. Our huge outdoor course features jumps, ramps, and a beam; while our indoor course includes a multi-layer & simple ramp, see-saw, and jump, and is fully air conditioned/heated, so it is ideal for training during bad weather. Bring your whole family to our agility dog training classes, and everyone will have fun running and jumping alongside your beloved companion. This program is ideal for children, as they’ll learn how to properly work with your dog on obedience and agility, all while having a blast. 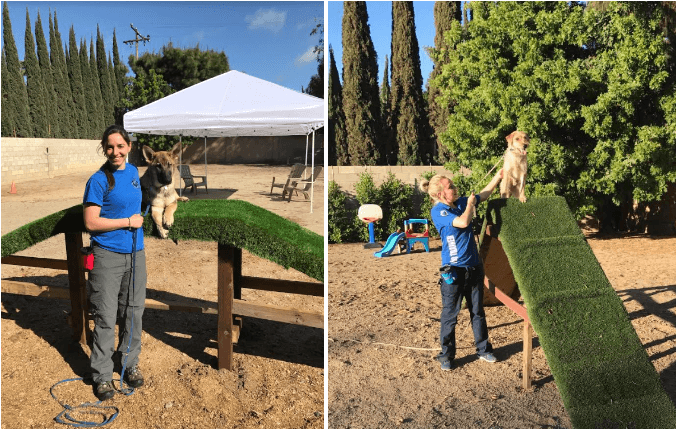 If you’re facing problems with your dog ruining furniture, shoes, and other items because of excessive energy, an agility dog training class is the solution. The agility exercises are a great outlet for your dog’s energy, so he or she will get exercise, and your household items will stay intact. If your dog is fearful of and/or aggressive towards other dogs and/or people, the agility dog training classes is necessary in order to modify any undesirable behaviors. Our professional trainers formulate a program based specifically on your dog’s nervous system, and will work with you on correcting these behaviors through a combination of agility training and obedience training. 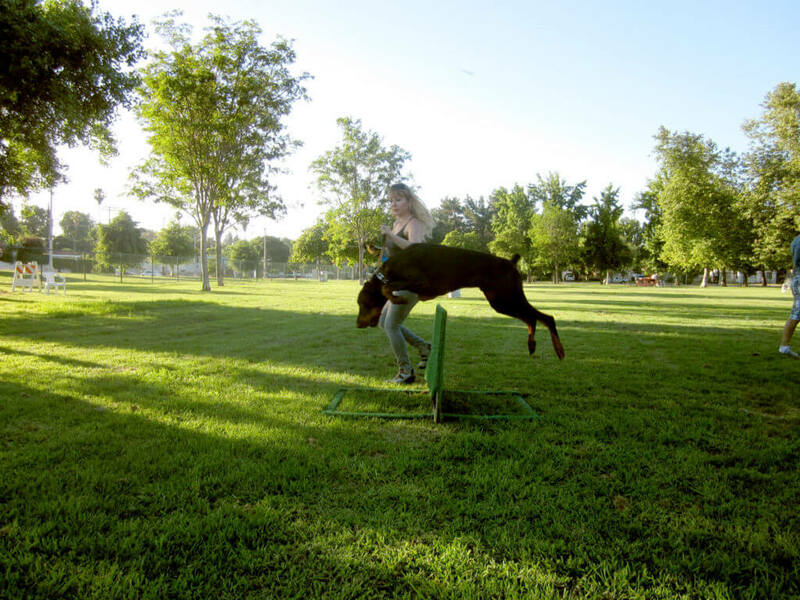 This combination will lead to the agility course becoming a special treat for your dog; he or she will want to fulfill commands just to be able to run through the course. Did your dog just recently undergo an operation? Master Dog Training’s agility dog training classes are extremely beneficial for dogs recovering from injuries or medical procedures, as running through the course not only provides your dog with his or her necessary daily exercise, but also promotes bone health and muscle development. We will also incorporate dog massages and specialized exercises to isolate each muscle group in order for your dog to get the most out of the course. Our agility dog training classes are not only great exercise for your dog; you will get a workout out of it too! Running through the course is also a great way to build a better relationship with your dog through bonding through training. If you have a disability that prevents you from participating in excessive physical activity, our dog trainers will run with your dog through the course, as well as teach you how to properly work with your furry friend. Along with the many health benefits listed above, the agility dog training classes are great for dogs that need socialization training. 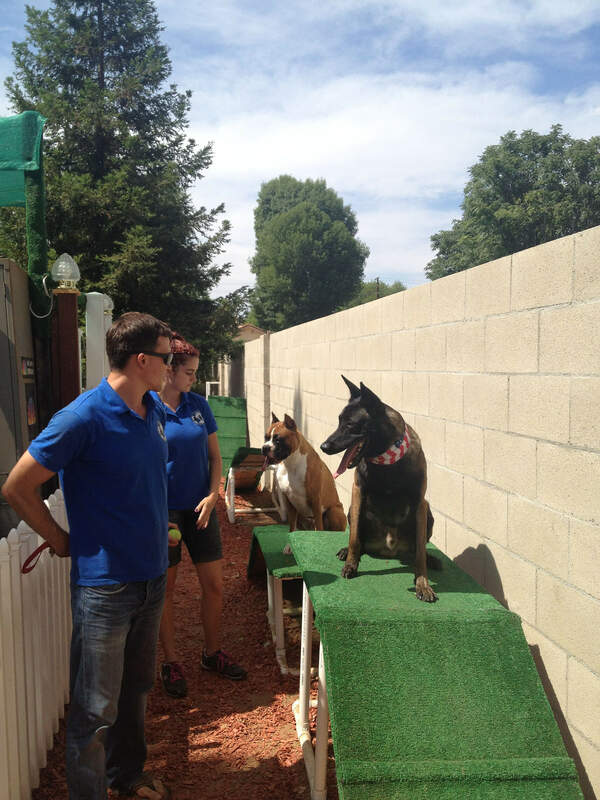 You will go through the course in a group with many other dogs, and since your dog will be relaxed from running and jumping through the course, most aggression will be curbed, and our trainers will have the perfect opportunity to correct it. Running and doing obedience are a necessary part of a dog’s daily exercise, and you will find that your dog will be much happier and relaxed after completing just one lesson. Any dog can participate in agility. We welcome every breed! We offer obedience dog training and aggressive dog training for every dog, from small breeds, such as Yorkshire and toy terriers, miniature Pinschers, and Chihuahuas, to breeds such as Labradors, German shepherds, Golden Retrievers, Pitbulls, and Malinois, as well as many other dogs. We also offer Puppy Obedience Training for puppies 2 months old and older. Register For Agility Dog Training Classes Today! Dog Training and Children. Why do dogs get “jealous”?